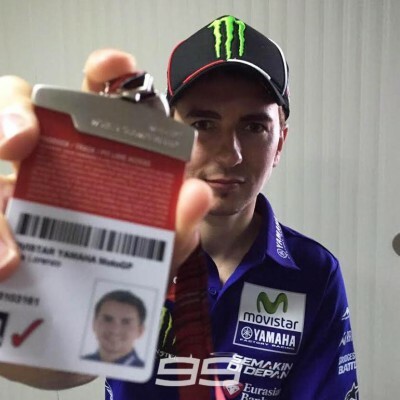 The experienced MotoGP™ journalist has joined motogp.com for the 2015 season to bring you exclusive news and opinion from trackside. 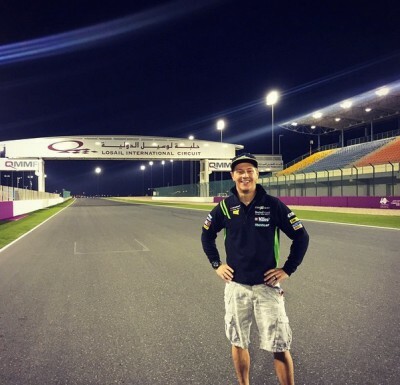 With nineteen years of experience reporting on the MotoGP™ World Championship for Motorcycle News, Matthew Birt gives us his thoughts on the Official press conference in Qatar, which marks the start of the 2015 season. Tomorrow night I will start my 20th season working in the MotoGP™ World Championship and I can seldom recall so much anticipation and excitement ahead of the first race. There are so many intriguing aspects to the 2015 title race, not least because of the impressive resurgence of Ducati, who look well poised to end a winless run in the premier class that stretches all the way back to Casey Stoner’s win at Phillip Island in 2010. Ducati is the talk of the paddock here in Qatar. 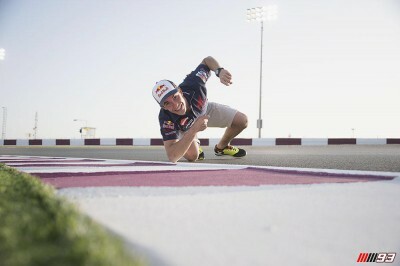 Almost every single rider I spoke to, or heard speak today, mentioned the big threat Andrea Dovizioso and Andrea Iannone could pose when the new season kicks off under the Losail International Circuit floodlights tomorrow night. The GP15 has been on track for just five days and before the Italian duo first rode it at the second Sepang test last month, it had completed just 50 kilometres in a brief shakedown in Italy. It underlines the great job Gigi Dall’Igna has done in making a completely new project a competitive one so quickly. Cured of the understeer issue that has plagued the Desmosedici since the Stoner era, Dovizioso was fastest in the final test at the Losail International Circuit just over a week ago. Not far behind was Iannone in third. The bike is impressively fast in a straight line, stable on the brakes and now turns. Combined it makes the GP15 look a serious threat and nobody is more aware of that than MotoGP’s ‘alien’ quartet. 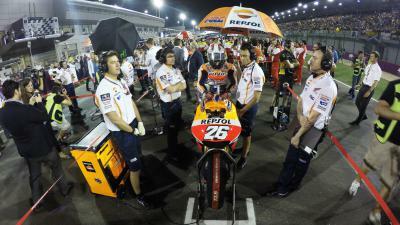 Marc Marquez, Valentino Rossi, Jorge Lorenzo and Dani Pedrosa all commented on the Ducati revival in Doha today. Marquez even went as far as to say that the Ducati will be difficult to beat based on Dovizioso’s performance at the recent test. Dovizioso certainly looks quietly confident about his prospects. The Italian is not one for making bold or brash predictions, and it has been a long time since we’ve heard a Ducati rider talking about podiums and race wins in MotoGP, but Dovizioso believes the GP15 can do just that. 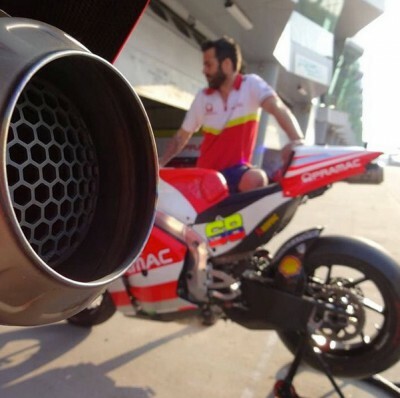 It is going to be fantastic for MotoGP™ to have Ducati back at the front. We all want to see different riders and different machinery fighting at the front, but I still believe the fight for the title will be a showdown between Marquez, Lorenzo, Rossi and Pedrosa. Marquez looked super-relaxed and super-confident in the pre-event press conference. On the outside everybody looked relaxed but I’m sure there are a few nerves as well ahead of the opening race. 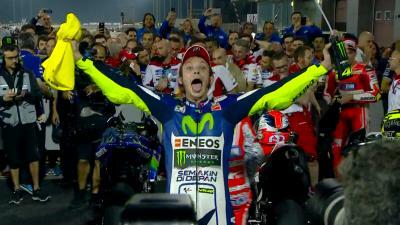 Marquez was flanked by Rossi and Lorenzo, and I expect the Yamaha duo to be Marc’s biggest challengers. Add into the mix the return of Suzuki and Aprilia with arguably the strongest rider line-up in history and it makes 2015 a great year to be a MotoGP™ fan. The Qatar GP saw Rossi take his 83rd MotoGP™ victory, Iannone claim his first MotoGP™ podium, and Pedrosa make a shock announcement. At the hotel! Time to sleep and tomorrow full throttle!! Can't wait!! Ahead of the first Moto3 race of 2015 at Losail, Mahindra Racing’s CEO Mufaddal Choonia answers some key questions. 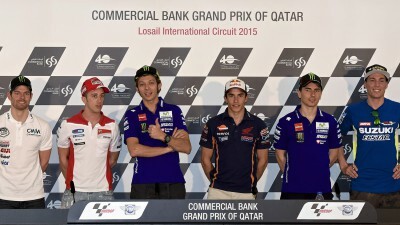 The official preseason press conference to mark the start of the 2015 MotoGP™ World Championship has taken place in Qatar.